PAW Gentle Ear Cleaner is a gentle and low irritant option for keeping your dog's ears squeaky clean. Use weekly for low maintenance ear care. 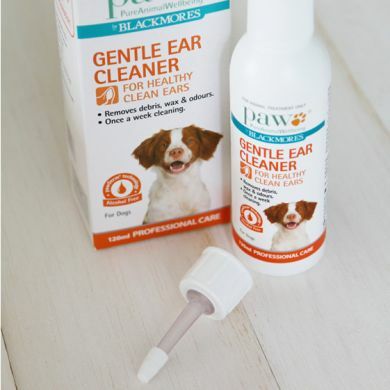 Read 1 customer review of PAW Gentle Ear Cleaner. 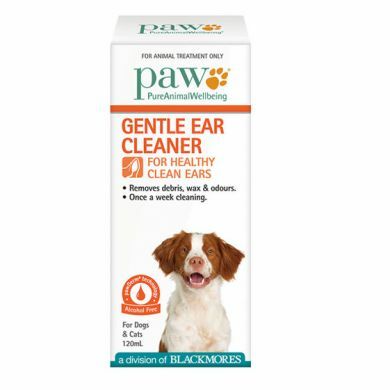 The average customer rating is 4.
when I first used the Blackmores Paws gentle ear cleaner I wasnt sure if it was going to work as I'd only ever used a damp cloth to wipe my dogs ears, but since using the product it has removed wax and odour from her ears in only the second application, and shes not shaking her head and endlessly scatching her ears anymore, Id recommend the product to everyone.